Get a triple strength dose of immune protection with Montana's Pollen, Royal Jelly and Propolis. 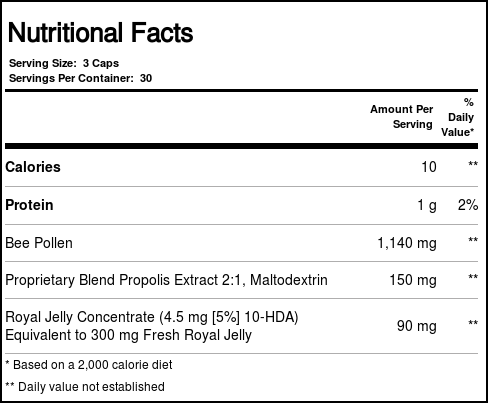 This daily dietary supplement takes a cue from the bees to provide support for immune health. 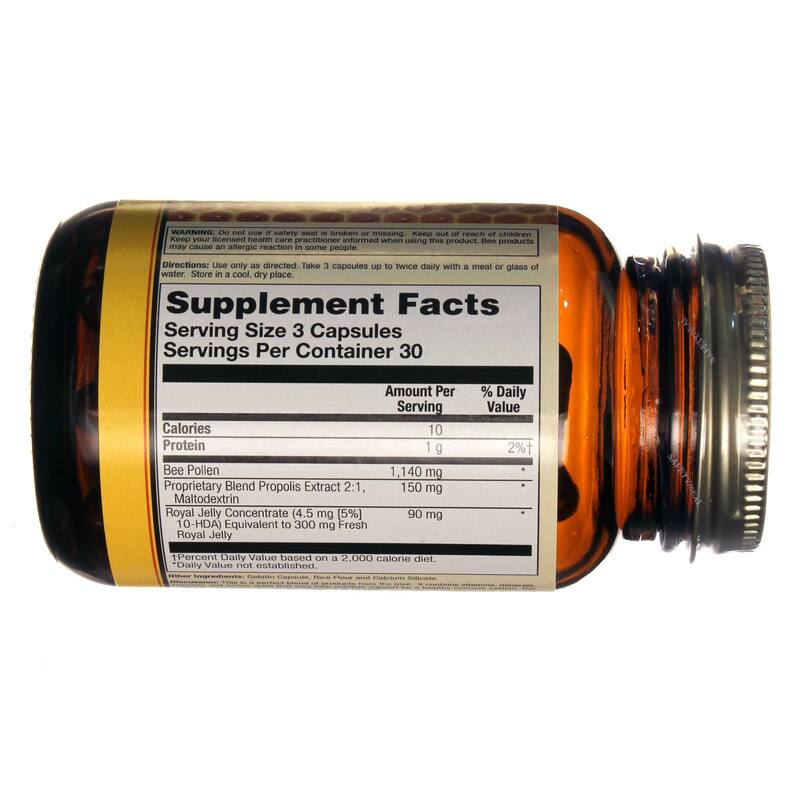 It combines the best nutrients from the hive into a single powerful formula. Montana's Pollen, Royal Jelly and Propolis delivers extensive benefits of three potent ingredients rich in enzymes, amino acids, vitamins and minerals to boost your body's natural immune response and ward off infection. 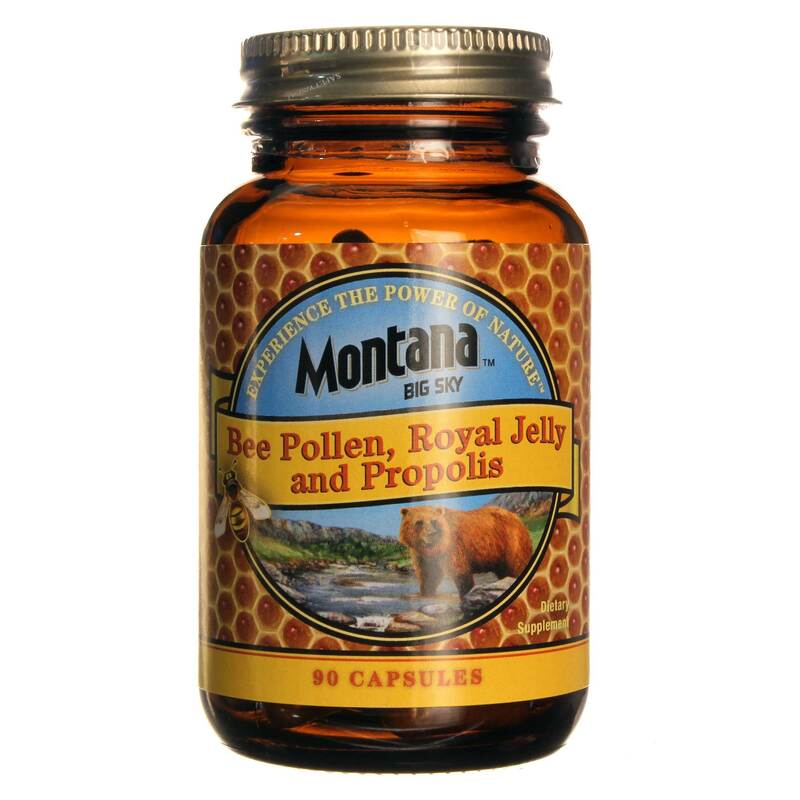 Don't miss the phenomenal combination of nutrients in Montana's Pollen, Royal Jelly and Propolis. Order yours today at eVitamins! Recomendações de uso: Use only as directed. 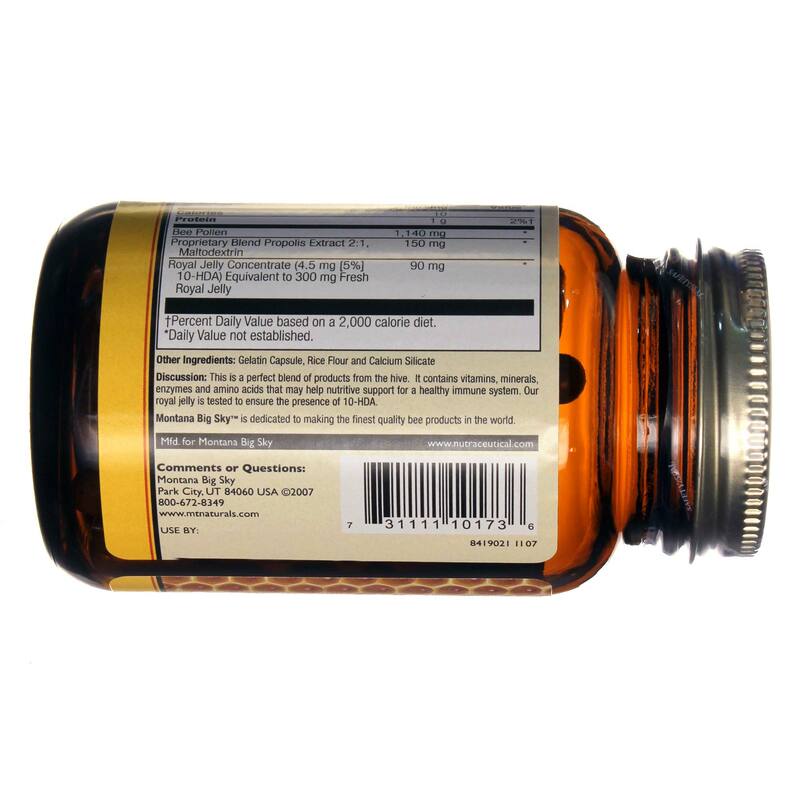 Take 3 capsules up to twice daily with a meal or glass of water.